Everyone likes to think of themselves as experts at what they do, masters of their own domain. But unless you’ve made the evening news with innovations and strides in your field, it can be hard to quantify to a layperson exactly how much you know. 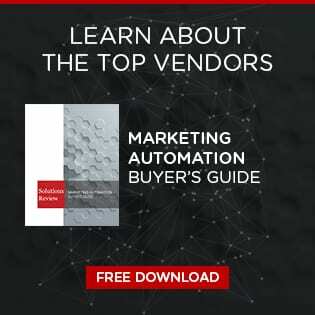 If only there was some way to show the world at large, “Hey, I know what I’m talking about!” Luckily for you, there are several options for marketers looking to send that exact statement to the world with regard to their automation skills. But before we get into the exact offerings, let’s go over a few more reasons to get certified in automation. For one, it makes you better at your job, which makes work easier for you and your team. Having your expertise in-house will make any automation-related woes disappear in the blink of an eye. And on the less team-focused side of the table, like any industry, earning a certification does wonders for your marketability as an employee. Having quantifiable proof that you are an expert increases potential job offers if you’re looking to the future. But what kinds of certification programs are out there and which should you look into? Fortunately there are more than a few options out there. Most of them are offered by vendors and are obviously best paired with the related solutions. Still, they remain invaluable resources and should be considered by anyone in marketing automation. Marketo offers a detailed test to achieve an expert certification in its software. Completion of the program nets you more than just a certificate, however. Graduates of Marketo University are recognized as Marketo Experts on the vendor’s Expert Locator and membership in an exclusive LinkedIn group. The test can be taken by anyone who pays the fee, but Marketo recommends a long list of prior experience for those looking to pass, including 1 year’s experience in marketing, foundation knowledge of automation, and 800-1000 hours experience with the Marketo software. The 90 minute test contains about 75 questions and requires a passing grade of 70 percent. In addition to their certifications, Hubspot has a plethora of easier, less time-consuming courses to take, including Facebook marketing, Lead management, business writing, and more. And for a little more time-investment, you can receive a basic Inbound certification, along with more in-depth certifications on Hubspot’s Marketing Software, Email Marketing, Social Media, Content Marketing, and too many more to list. Each certification course gives you several videos to watch before launching you into exams of varying length. Pardot, Salesforce’s premier automation software, also offers a certification course for those so inclined. The course, for a fee, allows users to take a test either offline at a registered Salesforce location, or remotely online. The test is exclusive to Pardot users and only applies to that software. Though the test requires money to take, a free downloadable study guide is available to subscribers who may be interested obtaining the Specialist Certificate. An outlier in their certificate program, SalesManago offers free courses in marketing automation open to anyone who registers on their site. The requirements to pass the course are 10 classes and 40 videos. Upon registration, SalesManago also opens it’s e-Library to users, containing various e-books meant to sharpen your skills. When customers opt into this vendor’s certification program, they are given access to an extensive 188-minute long video series hosted by four high-ranking members in GetReponse as well as Andrew Davis and Jamie Turner of MonumentalShift and 60SecondMarketer. The hosts go through how to maximize automation software, with a focus on GetReponse’s unique tools, with intermittent quizzes throughout the course. At the end, users are met with a final exam covering all the material of the course, at the completion of which they are granted the “industry-recognized” certificate. The course requires a fee to gain entry.